The larger of our first floor apartments and can sleep 2-4 people. 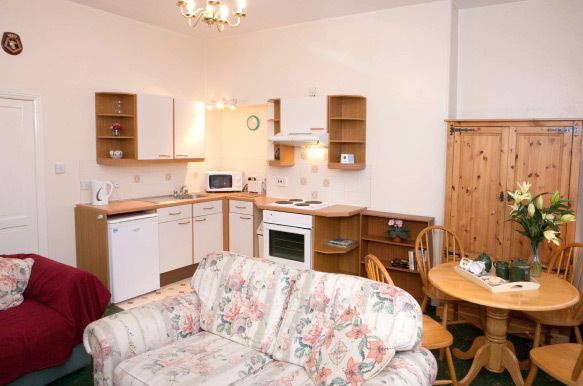 The kitchen is fully fitted with every convenience and in the spacious sitting/living room there is a sofabed, sofa, single bed, dining table and chairs. 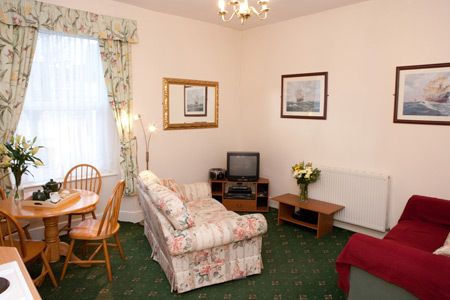 Both bedroom and living room enjoy separate access to the shower room/wc.